Google+ features a social environment where it is easy to build connections, keep track of who sees what and focus on specific interests. It’s in fact a recipe for success when it comes to promoting businesses. This is because the success of nearly every business relies entirely on the effectiveness of its marketing campaign. And alongside an array of other traditional marketing tools, Google+ offers business owners a host of marketing possibilities that can help them promote their products and services a much wider audience in less costly ways, enabling them to reach an even larger potential customer base than ever before. This article outline five Google+ tools that have helped content marketers track their success and analyze their own campaigns for best output. Read on! With Social Statistics, you can measure the results of your own campaigns and also research your competitor’s Google+ pages. It not only shows who the most popular users and posts on Google+ are, but also discloses and tracks information on how potential customers use your website and even how they get there. This is a great way to discover who or what is trending on Google+ by the hour, day or week. The tool is designed to track and show all the information about each search engine optimization campaign you run. This enables you to figure out which particular campaign is working and which ones are not. In addition, it gives you the information you need to segment your results by referral source, new or returning visitor, among others. CircleCounts as the name suggests, tracks the top Google+ profile and pages and shows their insights like average shares, comments and follower history. It gives you a plethora of statistics at your fingertips on a given Google+ user. You can find out all the information you need about follower history, the average number f +1s and data comments. CircleCounts also enables you view detailed statistics about your rank within Google+ community, interaction on your posts and other handy tidbits. Another interesting thing about CircleCounts is that it shows the results based on the country distribution, company distribution, gender distribution as well as job distribution. 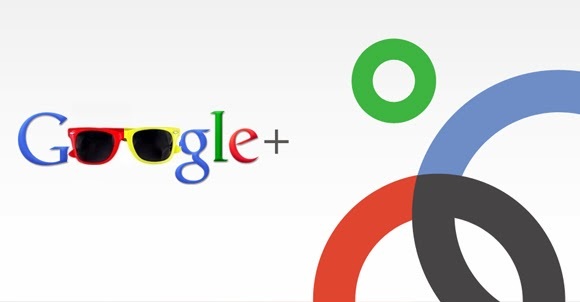 Google+ Widget is a new revolutionary tool for social media. The widget allows you to show the visitors of your blog or website that you have a Google+ account. This allows you to show off your Google+ public stream on your own website. The tool displays all your latest Google+ posts and +1s on your website and links directly back to your Google+ profile or page. This is in fact one of the greatest opportunities of establishing trust and getting in touch with your visitors and customers as it makes connecting with people on the web more like connecting with them in the real world. It is a fact that whereas there is no substitute for personal, authentic information, it is close to impossible to be effective in social media without a little aid. The tools discussed above are time-saving measures that you can utilize to enable you gauge how your marketing strategies perform and engage more audience if necessary. Jason Smith is an online marketing strategist for Hydroworx – who are well know for Hydrotherapy Pool He likes to blog about recent updates and tricks to boost business through digital marketing.